The upcoming season IPL 2019 is the 12th season of IPL. Check the full IPL winners list. Here is the all IPL winners list from IPL 2018 to 2018. IPL 2019 is here and will start from 29th March 2019. This will be the 12th season of IPL. Before this, we have witnessed 11 magnificent and thrilling seasons of IPL. Some of the teams have won more than once while some are still looking to win the trophy for the first time. We have heard then news that IPL 2019 Auction will be held on 18th December 2018. So there is not much time left in that. All franchises have already revealed their retained players list in IPL 2019. We might see some big changes in the Auction of IPL 2019. So let's take a tour of the history of the Indian Premier League. Take a look that which of the teams have won the trophy for how many times and who is still nill. We will check all that in IPL winners list. Currently, we see there are 8 teams playing in the IPL but it has not been the same always. Many teams came and eventually gone. Two major teams were suspended in the scam of fixing for two years, they are Chennai Super Kings and Rajasthan Royals. Last year only they came back and Chennai made a Superstar entry by winning the IPL 2018 title for the third time and once again topped in the IPL winners list. One other team has also won the trophy three times, the team is Mumbai Indians. So CSK and MI are on the same level in IPL winners list. Check below the IPL winners list from 2008 to 2018. So this is the IPL winners list till now. As we see both Chennai Super Kings and Mumbai Indians won the trophy for three times. Now, let's take a brief analysis of all seasons one by one. The first season of IPL was held in 2008 and the Indian Premier League 2008's winner was Rajasthan Royals. And they defeated the champions team of IPL, Chennai Super Kings. Final was played between CSK and Rajasthan Royals and RR won the match by 3 wickets. This first season was very much popular at that time. Everybody enjoyed this new format of cricket. There was this team called Deccan Chargers which was led by Australian wicket-keeper batsman Adam Gilchrist. This season was also held in South Africa as the current season will also be held outside of India. 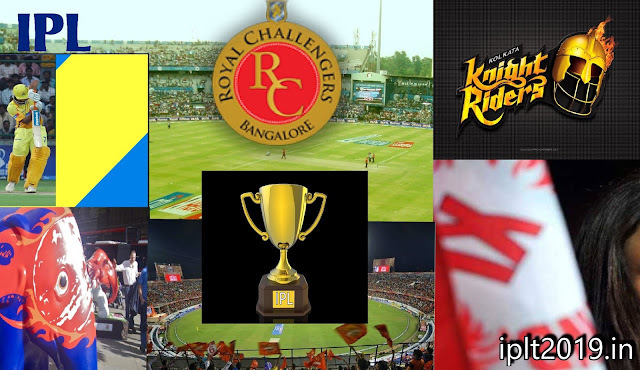 The final was between Deccan Chargers and Royal Challengers Banglore and DC beat RCB by 6 Runs. It was a low scoring match. Anil Kumble was the player of the match. Once again the champion entered to the finals and this time the one the trophy. Chennai Super Kings won this edition IPL 2008 by 22 runs after beating Mumbai Indians. Chennai Super Kings Scored 168 in 20 overs and Mumbai Indians scored 146 runs for 9 wickets in 20 overs thus CSK won by 22 runs IPL 2010. Once again Chennai Super Kings won the trophy in 2011. This was there back to back the second trophy, This shows the strength of the team CSK and the captaincy of Mahendra Singh Dhoni. The final was between Royal Challengers Bangalore and Chennai Super Kings. After Batting first, CSK put a huge score of 205 in 20 overs and after fantastic bowling, they managed to stop RCB on 147. So CSK won the final with a margin of 58 runs. The final was between Chennai Super Kings and Kolkata Knight Riders. Sunil Narine did really well in that season, Confusing batsmen with his bowls. After playing first CSK put 190 on the scoreboard but it was not enough to win as KKR achieved that in 19.4 overs with 5 wickets in hand. It was a low scoring match between MI and CSK. After playing first MI scored a total of 148 runs and Chennai Super Kings was able to make the total of 125 for 9 wickets in 20 overs. Shane Watson was playing for Mumbai Indians at that time and did a good job for his teams Mumbai Indians. Once again Kolkata Knight Riders went to finals because of fo the allrounder performance of the players. The final was between Kolkata Knight Riders and Kings XI Punjab. Playing first KXIP scored 199 runs in 20 overs which were good enough but not for KKR. KKR won the match in 19.7 overs losing 7 wickets. After 2013 once again the history revised itself. The finals were again between Mumbai Indians and Chennai Super Kings. Once again Mumbai won the cup defeating CSK.by 41 runs. Mumbai Indians scored 202 and CSK was able to score 161 only. This season Royal Challengers Banglore reached the final for the second time but it was not their day. The final was between Sunrisers Hyderabad and Royal Challengers Banglore. Sunrisers Hyderabad Sored 208 good runs on the board and RCB were able to score 200 runs and lost by 8 runs. It's like a numbers luck for Mumbai Indians first 2013 then 2015 and now 2017. Seems like 2019 is on the way. Yes, again Mumbai Indians won the trophy for the third time. I remember this match, it was very thrilling. It was Rising Pune Supergiant and Mumbai Indians for the trophy. After scoring 129 runs everyone thought that Mumbai Indians is going to lose the trophy but after such a brilliant bowling they won the match by 1 run. Chennai Super Kings was suspended for two years and with the comeback, they won the trophy again and made them equal to Mumbai Indians. The final was played between Sunrisers Hyderabad and Chennai Super Kings. SRH scored 178 in 20 overs and CSK achieved that in 18.3 overs losing 2 wickets only. Who will be IPL 2019 Winner?